I was eating dinner with my family when the idea for this story came to me and I jumped up from the table to find some paper and a pencil to write down my thoughts before they faded away. (My family didn’t really notice – they’re used to me doing this sort of thing!) I’ve had other (mostly younger) books to write in between working on these stories. (I’ve written three of them now.) I’ve had to return to the books and pick up where I left off so many times. And yet the ideas behind Laney and the red moon that rises on her birthday haven’t left me alone. Sometimes they feel like the ideas that just won’t die. There are several different themes in Red Moon Rising. On one level it’s about a girl trying to find out who she really is. She’s twelve. A lot of people aren’t sure who they are at twelve. It’s a shock when she discovers there’s a whole community of people with extraordinary powers living around her. It’s even more of a shock when she realises she’s one of them. The Fair Eyes (with their gold ringed eyes) are grouped into tribes with power over water, air, plants, animals or fire. There are rigid divisions between them. They have different ways, traditions and attitudes. These differences are hugely important to them. They’re so busy fighting each other that they don’t see an evil power rising among them. It’s left to Laney and her friends to figure out what or who the Shadow faerie is. 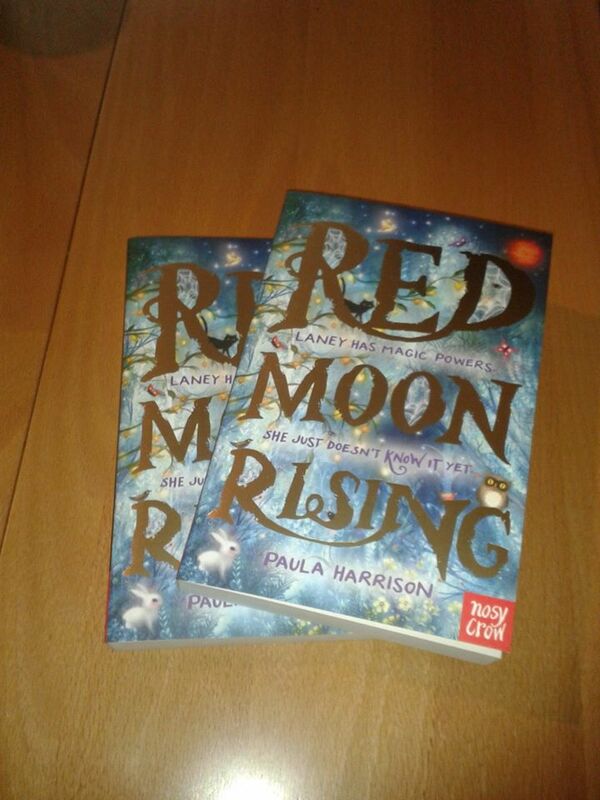 Red Moon Rising releases on the 2nd April, so it’s out in just 4 days! I hope it finds readers who like dark magic and a fantasy story set in our everyday world, just like I did around age 11 when I read Alan Garner’s The Weirdstone of Brisingamen and Susan Cooper’s The Dark is Rising series. Thanks Laura! Yes these ideas are very stubborn!